Has Online Fundraising lived up to your expectations? Accepting donations online is inexpensive to implement. Success requires more than a web site and a donate button. Rely on our exceptional experience to help you create an effective Internet communications strategy. Internet Marketing & Communications support Online Fundraising. Don't try one without the other. Email Deliverability, Search Engine Rankings, Email Lists -- they can make an organization . . . or ruin it. Your newsletters, solicitations, donor cultivation and stewardship are the future of your e-fundraising. You can trust us to show the world your best face and get the best results. Capital Campaigns are the most effective way to raise large amounts of money over a relatively short period of time. But about eight out of every 10 campaigns stumble and two of those fail for want of an accurate Feasibility Study. But there's more to that study than just money. With campaign successes ranging from $500,000 to $13 million, you can trust our work from Vision to Victory! Organizational Development is more than fundraising. The service of philanthropy, "is a delicate fabric of tightly woven threads each of which is endowed with a distinct integrity." 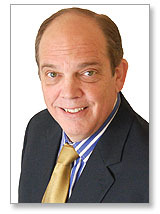 (Henry A. Rosso) Fundraising never stands alone in an organization. It is part of an integrated whole. 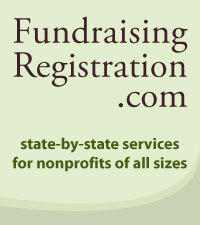 "Affinity Resources® support relationships that help nonprofits enhance and expand fundraising. We call it Friend Raising." Serving nonprofits globally, nationally and regionally with clients in Arizona, California, Colorado, District of Columbia, Illinois, Iowa, Kansas, Maryland, Massachusetts, Michigan, Missouri, Nebraska, Nevada, New Mexico, New York, North Carolina, North Dakota, Ohio, Ontario, Texas and Wisconsin.